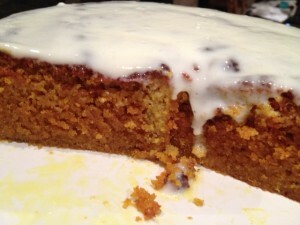 There are many savory turmeric recipes – here is one for a cake! Pre-heat oven to 180’c. Line a 20cm round baking tin with baking paper and grease with butter and coat with polenta. 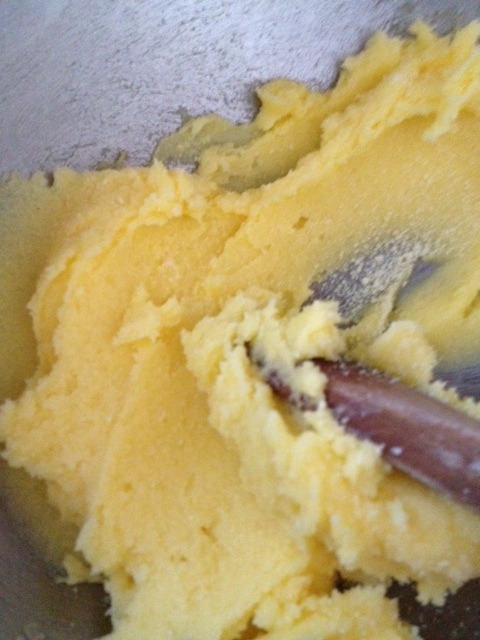 In a mixing bowl cream the butter and sugar till pale. Add the almond meal, polenta, bicarb soda and turmeric stir to combine. Add the yogurt then add the juice and zest from the oranges, stir to combine. Bake in the oven for 1 hour. Turn out the cake after five minutes of cooling. Allow the cake to completely cool about an hour before icing the cake. To make the icing combine the yogurt and icing sugar and spread over the top of the cake. 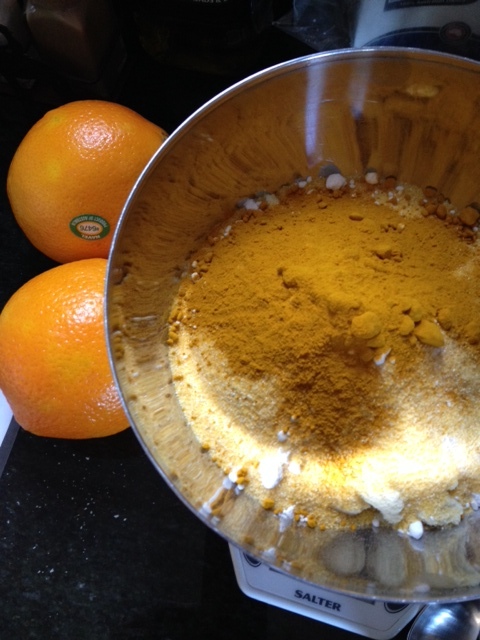 Using an additional oranges zest to garnish the top of the cake. This entry was posted in Lifestyle Choices, Medical Issues, SCI Diet and tagged Diet, food and nutrition, Nutrition, Recipes, Turmeric by everydaycarer. Bookmark the permalink.